The 2015 Summer Fancy Food Show in New York City was a mixture of chaos, sales pitches, fun, and some great food products. Here's a list of the trends I spotted at the Show, along with some representative products and a few unrelated products I found notable. Be aware that you might not be able to find these products locally, at least not on an immediate basis (many are so new they don't yet have wide distribution), but keep an eye out for them. Coconut. As the “fruit of the moment”, coconut reigns supreme. Because it is said to be healthy, it's in everything. Nucoconut (www.nucoconut.com) has a coconut mayonnaise and coconut vinegars in several flavors, for instance. And CO YO (www.coyo.us) is a cultured coconut milk yogurt, very creamy and rich. Quinoa and Kale and Flax and Chia, Oh, My! I must admit that I am thoroughly sick of this quartet. Because they are “healthy superfoods”, they are thrown into everything that doesn't move out of the way quickly enough. But all are just as popular as they were last year. Cocktail Mixers. The number of companies formulating cocktail mixers is testimony to just how big the craft cocktail movement has become. 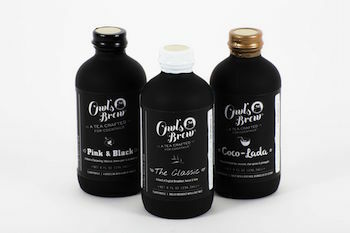 One of the more interesting of these businesses is The Owl's Brew (www.theowlsbrew.com), described as “a tea crafted for cocktails”. The varieties are not just brewed teas, but teas mixed with citrus, or coconut and pineapple, or even hibiscus. And someone far more clever than I am came up with Ouzon Soda (http://web.opaoriginals.com), a carbonated beverage with the flavor profile of ouzo, the anise liqueur. Made with cane sugar and certified organic star anise, it can be enjoyed by itself or (wait for it!) in a cocktail. Protein Fever. Americans cannot seem to pack enough protein into their diets these days, a trend that's a continual source of bewilderment to me (most of us get quite enough protein in our normal diets). The result, however, is that products like jerky, peanut butter, and the newer powdered peanut butter, are all going gangbusters. As I'm in the midst of a large-scale taste-test of regular, unflavored peanut butters right now, I didn't see any new names I could try at the Show, and I didn't try the powdered peanut butters. Jerky presses all the right buttons these days, as it's high in protein, typically lower in carbs, portable, and long-keeping. It's also relatively easy to make---but difficult to make well. I tried a number of jerkies at the Show but found many very tough. Krave Jerky (www.kravejerky.com), though, is a longstanding favorite of mine. This jerky is moister and less chewy than many others, and there are some intriguing varieties; I'm especially partial to their Black Cherry Barbecue. Non GMO. I don't think that all genetic modification is evil, but there is insufficient testing being done on a range of newly genetically modified products before they are released, and there's no putting that particular genie back into the bottle. Businesses are rushing to assure consumers that their products are not genetically modified, whether by their say-so or via verification by the NON GMO Project (www.nongmoproject.org), an organization which, I hear, is currently snowed under with applications. Gluten Free, Dairy Free, Egg Free, Peanut Free, Tree Nut Free. The American obsession with food allergies and sensitivities continues. No, I'm not making fun of either; I recognize that there are individuals with serious allergies or sensitivities to certain food products. But Americans have a long history of food hysteria; we either embrace a food wholeheartedly as a “magic bullet” (think kale and coconut and chia; in the past, it's been soybeans and oat bran) or vilify it completely (gluten and sugar are two of the big dietary “baddies” at present). If you really do have a problem with gluten, dairy, eggs, peanuts, and/or tree nuts, it's nice to know that many foods free of those substances taste far better than they once did. Smart Flour Foods (www.smartflourfoods.com) makes gluten free pizzas, pizza crusts, hamburger buns, and pancake & waffle mix (these products are all certified gluten free). I tried their Classic Cheese Pizza at the Show, and there is no way I would have been able to tell you that it was not a conventional pizza crust. The company's slogan, “Fool your taste buds (and your friends)” is well-founded. 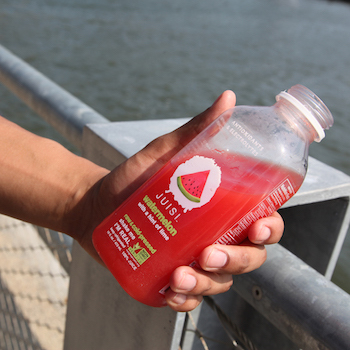 Cold-Pressed and “Raw” Juices. I don't know if cold-pressed juices are coming into fashion in their own right or because of their association with craft cocktails, but I did try some good examples of these juices at the Show. I particularly enjoyed the Watermelon with a Hint of Lime made by Juisi (www.drinkjuisi.com), which was a great pick-me-up when I was running out of energy. This business offers several 100% juice varieties (I like the sound of the carrot with vanilla bean, orange, and ginger, but didn't get to try it), one almond milk drink, and a “juice beverage” made with pineapple, lime, ginger, turmeric, and raw coconut water. All of their products are Non GMO Project-verified; all must be kept refrigerated. One caveat regarding “raw” foods: the word “raw” has no legal definition. Manufacturers can call anything “raw”, so if you're looking for specific information about heat processing or pasteurization, read the label or contact the company. “Pure”, “Clean”, and “Natural”. Who doesn't want to believe that the food they're eating falls into all of these categories? Unfortunately, all are meaningless buzzwords with no legal definitions. Don't get caught up in the nonsense! 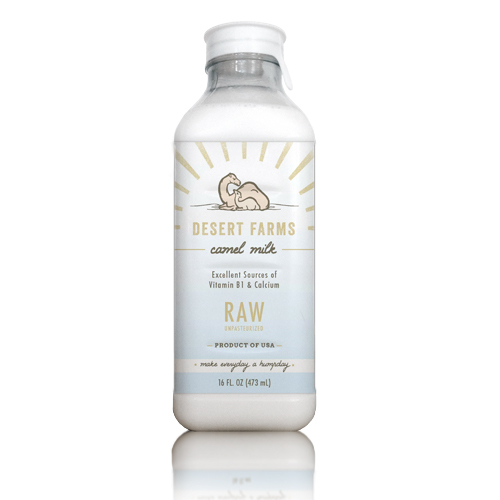 Desert Farms Camel Milk (http://desertfarms.com). I tried both unpasteurized camel milk and unpasteurized camel milk kefir. It doesn't quite taste like cow's milk, but it resembled cow's milk far more than I would have guessed. Camel milk is lower in fat and saturated fat than whole cow's milk, and it's supposed to be easier to digest. There has been some research suggesting that camel milk can help with A1C levels and autism, but the research has been preliminary at best. In any case, you'll also find colostrum, pasteurized camel milk, camel milk powder, and camel milk soap here. Olive & Sinclair Chocolate Bourbon Nut Brittle (www.oliveandsinclair.com). I had been walking around a large convention center for 2-1/2 days, eating every kind of sweet imaginable, so naturally I was a little jaded by the time I found this booth. Then I tried their Bourbon Nib Brittle and immediately went back not once, but twice, for more of it. It's a caramelized, nut-free, buttery brittle with a thin layer of dark chocolate on one side, “spiked” with bourbon-barrel-aged cacao beans. Amazing! Oregon Growers (www.oregongrowers.com). There are an absurd number of fruit preserves at every Fancy Food Show. It's all too easy to burn out one's taste buds on jams and jellies alone, so I don't taste that many. 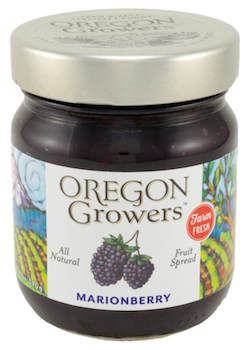 But I am very glad I tasted preserves from Oregon Growers, because they were brilliant. Typically, commercially-produced jams are too sweet for me, but not these. The Northwest Peach Preserves and Marionberry Preserves clearly emphasize fruit instead of sugar; what a nice change! Great for morning toast, sure, but these preserves would be just the thing for a yogurt parfait or for sandwiching cookies. Also on offer are sauces, condiments, fruit butters, fruit pates, and honey. Tio Gazpacho (www.tiogazpacho.com). Like many people, I have trouble getting in as many veggies as I should. Tio Gazpacho allows you to simply drink some of those vegetables. The entire line is certified organic, and I love the fact that the ingredients are simple, and I know what all of them are. The Gazpacho de Sol, with yellow tomatoes, carrots, and yellow peppers, was flavorful and refreshing; you'll also find a Clasico and a Verde (it goes without saying that the latter contains kale). Nutterly by Nature Cookie Crisps (www.nutterly.com). As the name implies, these are crisp, lightly sweetened cookies that cry out for a cup of coffee or tea, or perhaps a glass of milk, as a companion. I tried only the Hazelnut variety, which are absolutely delicious (I could really taste the hazelnuts), but they are also available in Almond and Pistachio. 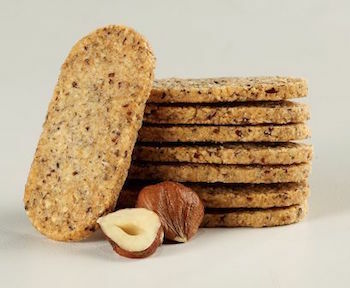 There are very few ingredients in these cookies; they contain only nuts, sugar, egg whites, salt, and Vitamin E. At this writing (July, 2015), the web store is not yet operational, and the cookies are available only at a handful of locations in Colorado. However, the web store should be online on August 1st. Misha Quark (www.mishadairy.com). To some, a quark is a subatomic particle. Foodies, however, know that quark is a cultured dairy product. It's similar to Greek yogurt in texture but has a milder, less-tangy flavor than yogurt. This quark is creamy and very thick; for those of you into protein, it packs up to 17 grams of protein per cup. The Original variety, which is unsweetened, can be eaten straight, of course, but the people at Misha had made a savory dip from it. I liked the Strawberry flavor, which was not too sweet. This business, which is still in its infancy, “recycles” all of their whey by-product by using it as animal feed or land fertilizer, and they designed single-serve packaging that employs only half as much plastic as the average single-serve container. Difficult to find at present, but watch for it.